The NASAP Strategic Plan is a result of an ongoing planning effort that included the Board and the membership. Time and effort were invested to hear the collective voices of the NASAP constituents. The Strategic Plan, Building the Bridge to Sustainability and Leadership in Student Affairs, embodies a clear vision for the next five years to advance the National Association of Student Affairs Professionals (NASAP) in higher education and student affairs. The organization is poised to continue its good work and provide leadership on issues and opportunities related to matters impacting student affairs professionals. The Strategic Plan’s four goals supported by objectives and defined initiatives, focus our energies and resources on the opportunities and challenges for student affairs personnel. The plan chronicles our priorities among which is establishing partnerships with other organizations that support our mission and goals. This collaboration should facilitate efficiencies, problem solving and opportunities for our organization and its membership. NASAP is committed to its membership and will use all the means at its disposal to implement this strategic plan. This Strategic Plan enables us to carry out vital aspects of our mission and vision. NASAP is committed to providing leadership in the higher education community in general and student affairs in particular. Therefore, as an organization, we will align our work with other organizations that support our mission and goals. The Executive Board, with input from the membership, has determined the organizations that we will engage to meet this outcome. These organizations are a central part of the Strategic Plan. 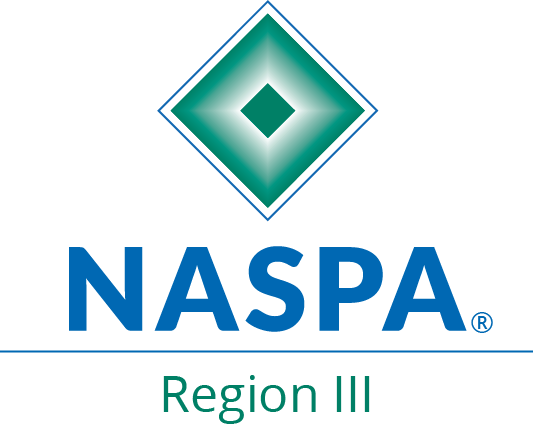 The NASAP Strategic Plan focuses on resources, members, programs, image and partnerships, all of which are crucial to the sustainability of the organization and establishing NASAP members as leaders on matters of student affairs. The strategic plan was developed after months of Executive Board deliberations and membership feedback. The goals stated above and explained below, along with the objectives and initiatives, are guideposts for the organization to accomplish its mission and further its reach throughout the HBCU and higher education community. Objective: Increase funding for the organization in order to meet the goals and obligations of the organization and to meet the needs of the membership. Increase revenue streams for the organization, including sponsoring webinars, seminars, and conferences. Create and/or reestablish programs that enhance student affairs professionals, including Greek Summit, New Professional Track, Women of Color and Leadership Programs while also increasing revenue. Seek sponsorships for the National Conference and other sponsored programs and events. Review conference membership dues, conference registration and institutional membership fees and make the necessary adjustments to create a comparative advantage. Use the website and newsletter to generate income for the organization. Eliminate risk management budgeting issues. Objective: Increase the NASAP membership and attendance at the National Conference to become more effective and efficient as an organization. Develop a membership recruitment plan. Increase NASAP individual membership to 300 by 2017 and 500 by 2020. Increase NASAP institutional membership to 75 by 2017 and 100 by 2020. Increase conference to 250 attendees by 2017 and 450 by 2020. Develop and implement a NASAP Mentorship Initiative to increase undergraduate and graduate membership and entry into the student affairs profession. Utilize the expertise of the membership to drive public opinion on student affairs matters. Objective: Enhance the image and communication of the organization in an effort to share our mission and vision, attract new members and address the needs of the membership. Update the website on an ongoing basis. Revise the newsletter and use it to facilitate providing useful and timely information for the membership. Revise NASAP Constitution and By-laws based on the alignment practice and policies. Engage in effective Board recruitment and training to better position the organization in the marketplace. Utilize the NASAP website and social media to increase the reach of the organization. Revisit program development germane to current and future NASAP agenda/issues. Fully implement the new strategic plan. Objective: Enhance the effectiveness of our partnerships and collaborations such that we can effectively carry out our mission and provide opportunities for our membership. Establish partnerships with ACUHO-I, NASPA, ACPA, AABHE/LMI, NAFEO, & UNCF. Expand partnerships with HBCUs, TWIs serving diverse populations, Hispanic and Tribal Colleges. Establish partnerships with Greek organizations.